Sound Bath experience with Sound Healing with Daniella White, Daniel Blue, Luk Will From the artists: "Come try a brand new chill-out music experience. Have a cup of steaming herbal tea goodness, bring your yoga mat, lay down or lean on a pillow and let yourself be taken away on a healing journey with songs by Luk Will and Daniel Blue specially selected to blend with the meditation inducing and transportive sounds of Daniella White's rock-star-approved "sound bath". (No yoga poses required) A sound bath is an improvised concert played with the intent of releasing energy that is no longer serving you, and shifting to a more positive and relaxed state of being. Participants usually lie in a comfortable position on the floor (in savasana). 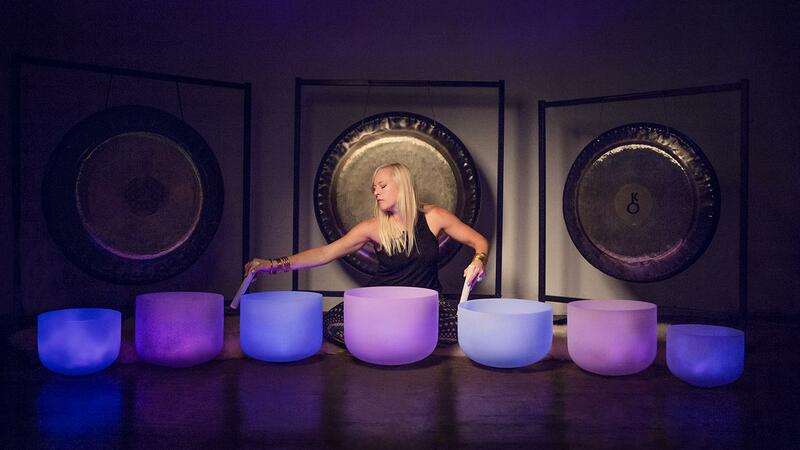 Daniella plays the crystal bowls and gongs, accompanied by shamanic vocal toning. During the savasana you will be bathed in healing vibrations that will help you achieve deep states of relaxation, where healing can take place.